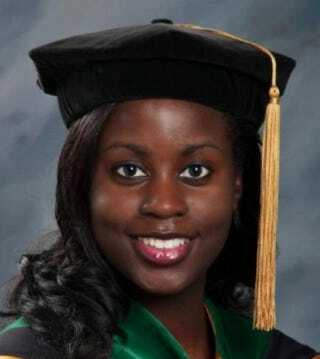 The mystery surrounding the missing 30-year-old Michigan doctor, Teleka Patrick, deepened Thursday after a report surfaced that she had allegedly stalked gospel singer Marvin Sapp prior to her disappearance, a Grand Rapids news station reports. Sapp reportedly filed for a personal-protection order in September against the Kalamazoo-based medical resident in Kent County, Mich., WOOD-TV reported late Thursday. In the court filing, Sapp reportedly said that Patrick had been referring to him as “her husband” and had moved from California to Western Michigan to join his church, the Lighthouse Full Light Center Church in Grand Rapids, the Detroit Free Press reports. Patrick’s family had previously said that she decided to attend Western Michigan University for its residential psychiatry program. Sapp, known for his soaring voice, said Patrick had contacted his three children and had been to his home, and, according to the report, he had “over 400 page(s) of correspondence from her to which I have never responded.” Further, he told WOOD-TV that Patrick’s stalking had gone on for at least a year prior to her moving to Michigan. Sapp could not be reached for further comment, the Detroit Free Press reports. On Dec. 5, Patrick was last seen in the parking lot of Borgess Medical Center in Kalamazoo by a shuttle driver with the Radisson Hotel, reports show. Later that evening, her abandoned car was discovered in a ditch near Porter, Ind., nearly 100 miles away. Patrick's ex-husband, Ismael Calderon, raised questions about her mental health, but her family said they were unaware of any problems. Additiontally, family members have hired a private investigator to help with the investigation.